China’s efforts to exert political and cultural influence in Australia produced a major scandal with the fall of Senator Sam Dastyari, who took money from a billionaire linked to the Chinese government and ended up parroting Beijing’s propaganda line on the South China Sea. The United States Senate recently convened a bipartisan commission to study Chinese influence efforts, which include meddling in Western higher education as well as politics. Now the Economist warns that China’s “sharp power” is cutting into Europe as well. “Germany’s spy agency this week accused it of using social media to contact 10,000 German citizens, including lawmakers and civil servants, in the hope of ‘gleaning information and recruiting sources.’ There have been reports of Chinese agents trying to groom up-and-coming politicians from Britain, especially those with business links to the country. 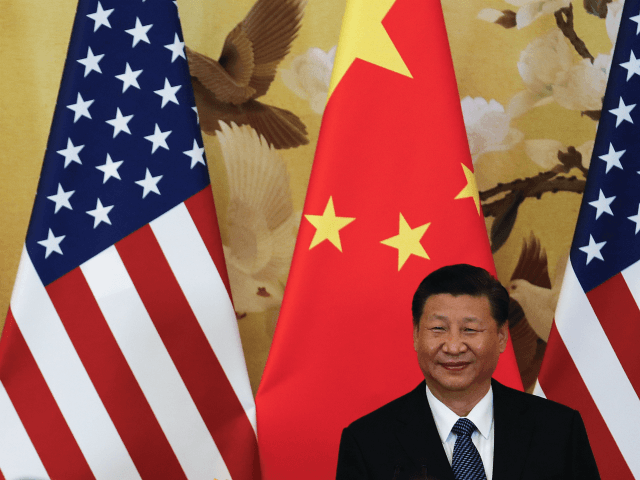 And on December 13 America started to learn of possible intervention, when the Congressional Executive Commission on China began hearings to look into Chinese attempts to win political sway,” the Economist reports. These operations were dubbed “sharp power” by the National Endowment for Democracy to position them as something halfway between the “hard power” of military force or coercive economic pressure, and the “soft power” of diplomacy and fair competition in the public arena. Hard power compels; soft power persuades; sharp power manipulates. It’s an approach that leverages China’s appeal as a “keenly courted trading partner that is investing huge sums beyond its borders” to impose its authoritarian agenda, usually coming up just short of provocations that Western governments would feel obliged to respond to, trading partnerships be damned. China might have put its toes over that line in Australia, although the Australian political class is clearly thinking about that valuable trade partnership, and China’s growing military strength, as it carefully calibrates its outrage over the Dastyari affair and other examples of Chinese subterfuge. Prime Minister Malcolm Turnbull vowed in early December that the Australian people will “stand up” against Chinese Communist influence, borrowing a phrase with historic significance to modern China, and he said it in Mandarin to make sure he was clearly understood in Beijing. China responded by summoning the Australian ambassador to complain about Turnbull’s “hysterical paranoia” and “racist undertones.” The Chinese have called Turnbull’s bluff. They’re patiently waiting to see if he’ll think about the hundreds of millions of tons of ore China buys from Australia and sit back down again. It will take more than a few fiery speeches to make them sheath their sharp power swords. In a sense, sharp power is a carefully calculated transaction. The Economist notes that 21st-century China is a more elusive opponent than the 20th-century Soviet Union was. Both are powerful ideological enemies of the West, but China isn’t pushing for the kind of wholesale subversion the Soviets wanted. They have more modest demands: Don’t give platforms to dissidents, don’t talk about Falun Gong, don’t criticize what we’re doing in Tibet, let us open schools and union houses to help our overseas students and workers keep the Communist faith, be friendly and helpful to our government’s agenda if you plan to do business in China. Another feature of sharp power is that China has carefully studied Western nations and knows how to exploit their cultural and political stress points. Western universities are growing very comfortable with the idea of denying platforms to political dissidents. The Chinese are speaking the language of 21st Century Western academia when they ask for such considerations. In return, they offer educational resources—including, but not limited to, instruction in the Chinese language that appeals to students eager to prosper in the global economy—that budget-conscious administrators see as valuable. Self-censorship is a key concept of Western political correctness, terrorizing people into restraining their language and thought for fear they will offend people who are addicted to outrage. American and British P.C. culture provides a compatible operating system for the ideological software China wishes to upload. And even in the course of warning about China’s sharp power, the Economist frets that policies designed to shield against it might “whip up anti-Chinese hysteria” and raise “barriers to academic, economic, and cultural co-operation.” Oh, yes, China knows how to play the political correctness game. China has little trouble extending its tentacles into news and entertainment media as well as education. The Economist mentions China Radio International, an appendage of the Communist government discovered to be “covertly backing at least 33 radio stations in 14 countries, including Australia and America.” These stations formed “a global network broadcasting positive news about China” in numerous languages. Meanwhile, China’s growing influence on Hollywood might only be checked by fears that Beijing will lose control of the billionaires sent over to purchase studios. Besides, why waste capital on acquiring movie companies when American producers are eager to make whatever creative compromises are necessary to maintain access to the immense Chinese market? China doesn’t need a sword to wield sharp power in Tinseltown. A butter knife will do. The National Endowment for Democracy (NED) warns that Russia is interested in developing sharp power as well. It might have sharpened its ideological blades with its election-season mischief in the United States and other countries. The NED notes that “both Beijing and Moscow clearly take advantage of the openness of democratic systems,” while closing their own systems as tightly as possible to prevent the sort of cascading cultural and intellectual failure that brought the Soviets down at the end of the Cold War. But China isn’t just looking to sow chaos and distract its global adversaries, as Russian political sabotage seems intended to do. China uses sharp power for ideological surgery, not back-alley knife fights. Russia seeks to weaken democracy, while China wants to strengthen authoritarianism. The most interesting of the NED’s recommendations for defensive policy is to “reaffirm support for democratic values and ideals.” Their other suggestions—unmasking authoritarians, inoculating democratic societies against their influence, and distinguishing sharp from soft power—won’t work if Westerners lack confidence in their own societies and scoff at their own ideals. The crisis of confidence gripping America and Europe leave us without armor for ourselves, or a shield we can raise to protect vulnerable nations in Eastern Europe, Latin America, or Asia. Unless we recover our confidence in classical liberalism and free-market democracy, we will remain vulnerable to manipulation, because every other system of government embraces manipulation and control. We need to reinstall the only social operating system that viral authoritarianism cannot infect.